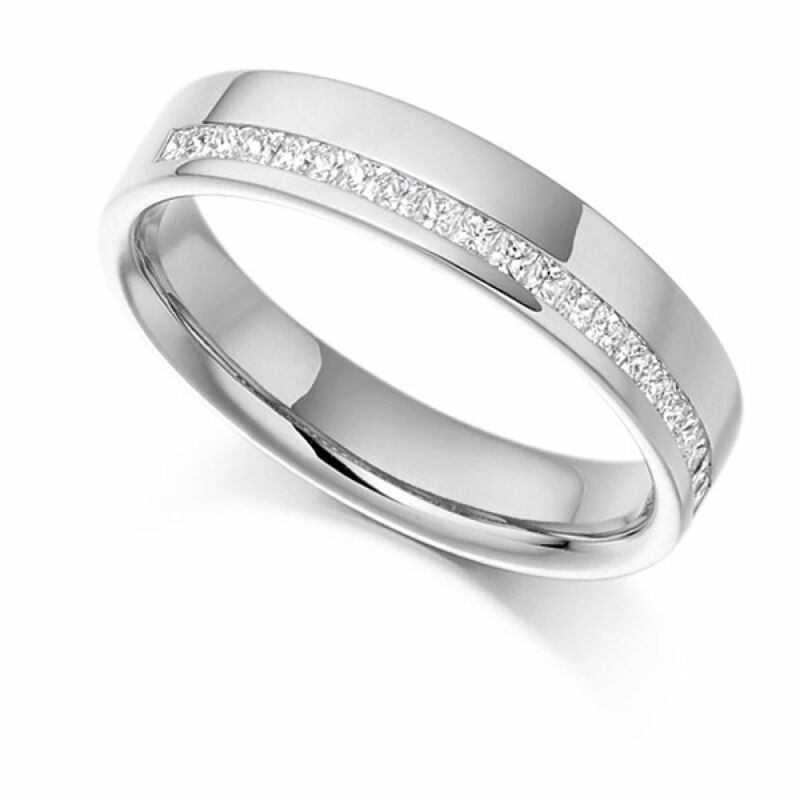 Princess cut half diamond eternity ring, with offset channel holding 0.25cts of princess cut diamonds across a 4.25mm ring design. Featuring an offset channel setting using Princess cut Diamonds, this ring is precision set for maximum brilliance and scintillation. The width measures 4.25mm into which 0.25cts Diamonds are held. Graded F Colour for whiteness and VS1 in Clarity these Diamonds really set this apart from the rest. There are a choice of metal finishes which include 18ct Yellow Gold, 18ct White Gold, 18ct Rose Gold, 950 Platinum and 950 Palladium. Your ring will be hand delivered to you by insured courier, beautifully presented in our bespoke packaging within time for your perfect moment. Can be delivered from the UK to many locations Worldwide with all tax and shipping considered.